2016 World Doubles Champions Greg Lobban and Alan Clyne began their Men’s Doubles campaign on the Gold Coast in impressive fashion earlier today (Tuesday). The second seeds defeated Zambia’s Manda Chilambwe and Kelvin Ndhlovu, 11-4, 11-4 in their Pool B opener inside Oxenford Studios. The Highland pair are back on court on Wednesday at 10.30am (UK Time) against Guyana looking to seal their place in the next round. Lisa Aitken and Kevin Moran also got off to a winning start in the Mixed Doubles event. Competing in Pool H the ninth seeds proved too strong for Caroline Laing and Jacob Kelly of the Caymen Islands, winning 11-2, 11-3. The duo will now aim to top their group tomorrow (Wednesday) when they take on eighth seeds Joshna Chinappa and Harinder Pal Sandhu of India at 11.15am (UK time). 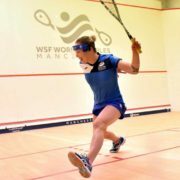 In the Women’s Doubles, Lisa Aitken and Alison Thomson (10) fought hard against English second seeds Jenny Duncalf and Alison Waters before going down to an 11-10, 11-4 defeat on Tuesday. 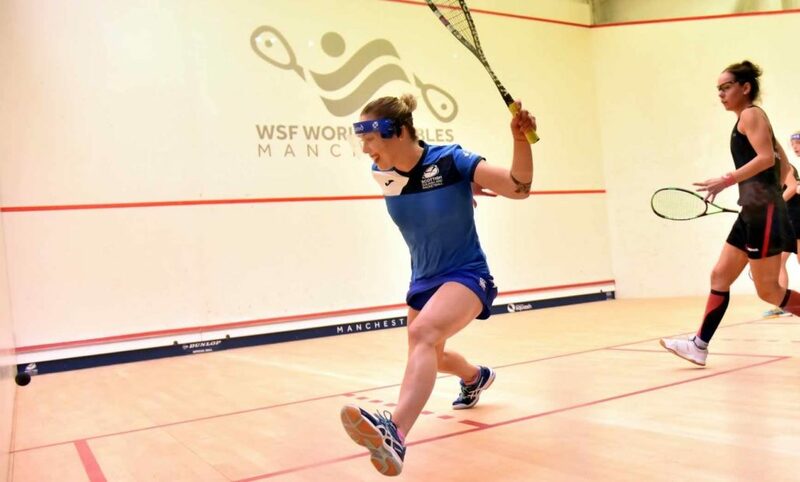 They will look to bounce back in the early hours of Wednesday morning (2.45am UK time) when they take on the Caymen Islands before a potentially decisive final Pool B match against England’s Laura Massaro and Sarah-Jane Perry (7) on the showcourt at 9.45am (UK time). The top two pairs in each pool progress to the knockout phase.